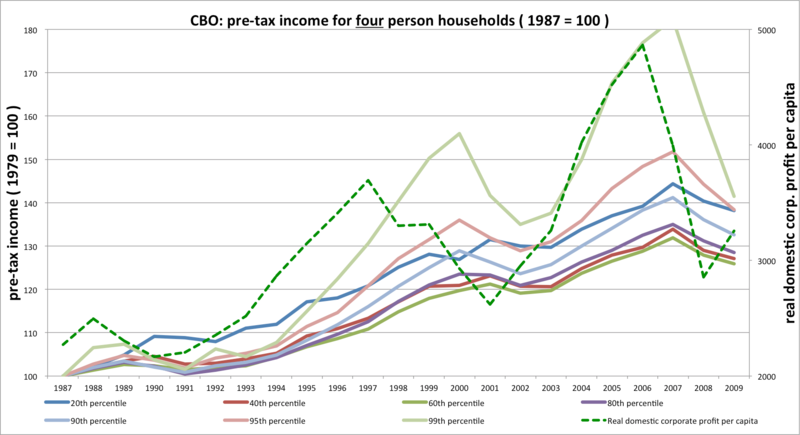 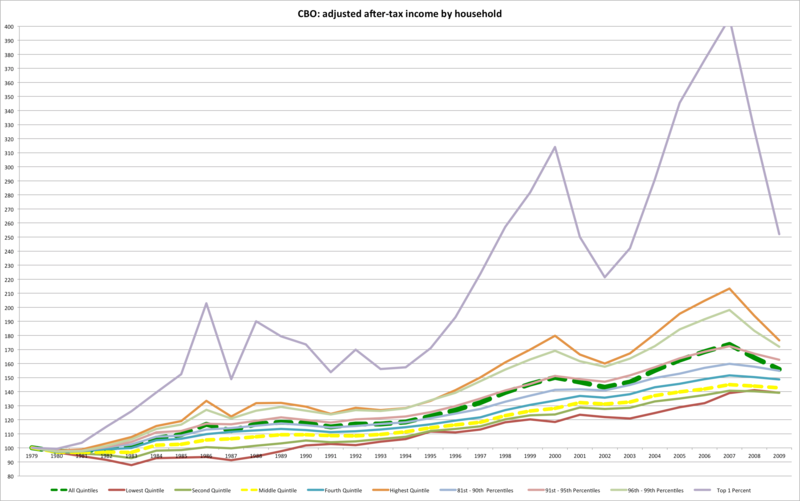 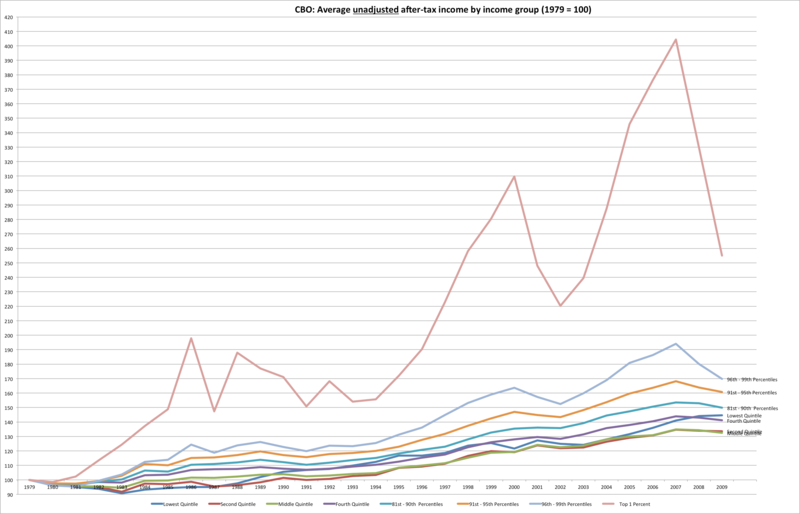 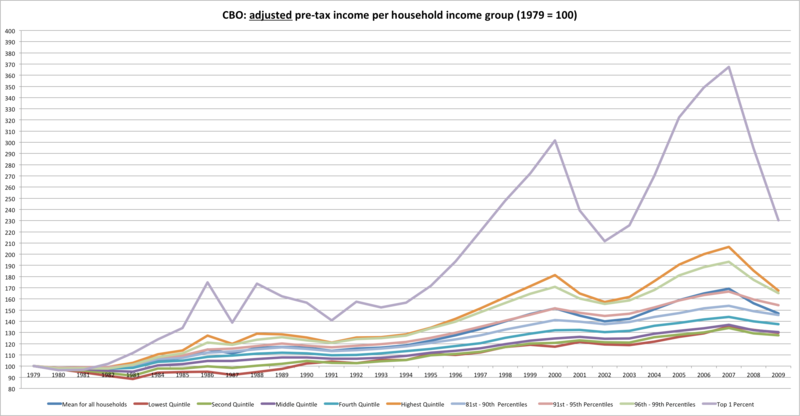 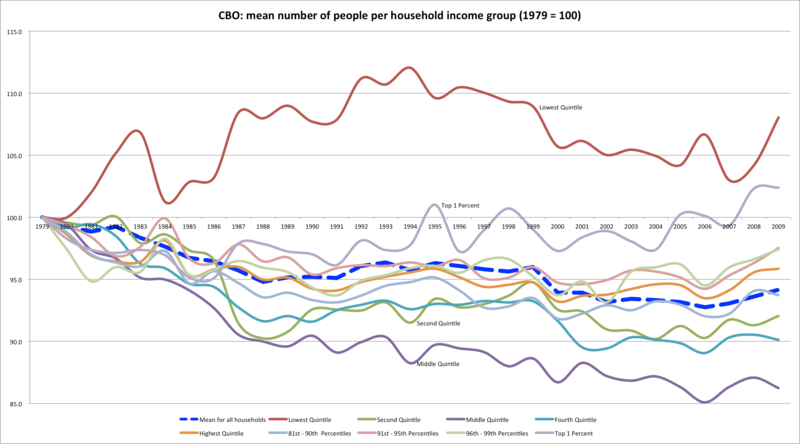 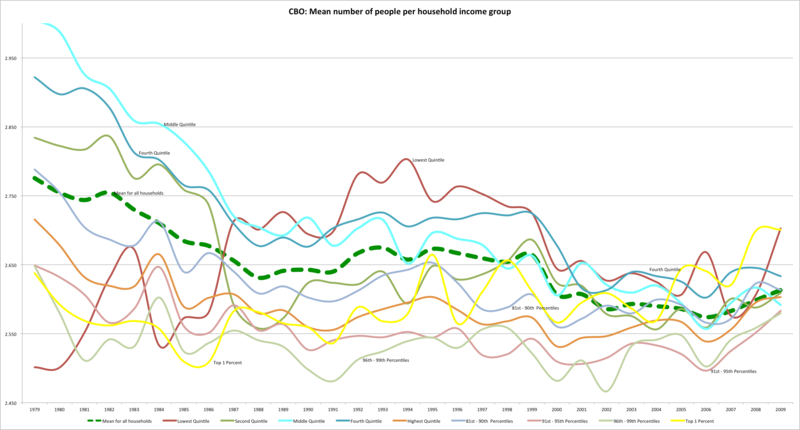 Clearly these adjusted-income groups look VERY different now than they once did. 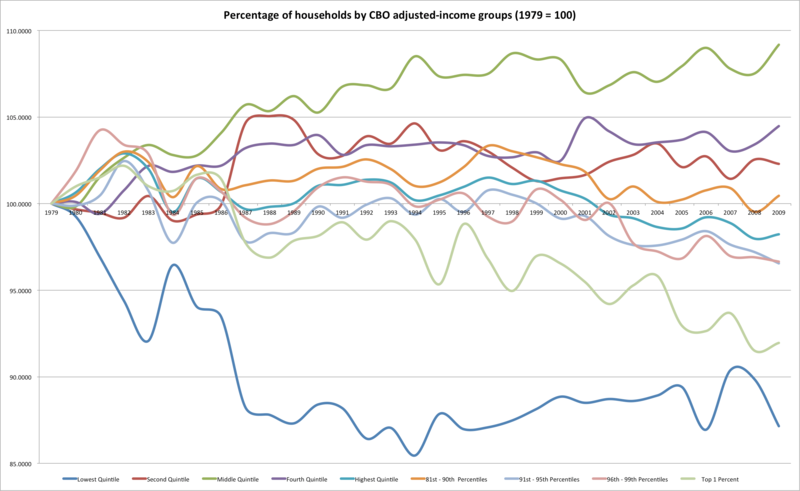 Fortunately, the CBO does publish the minimum income levels for each income group according to household size, so we can remove some of this bias…. 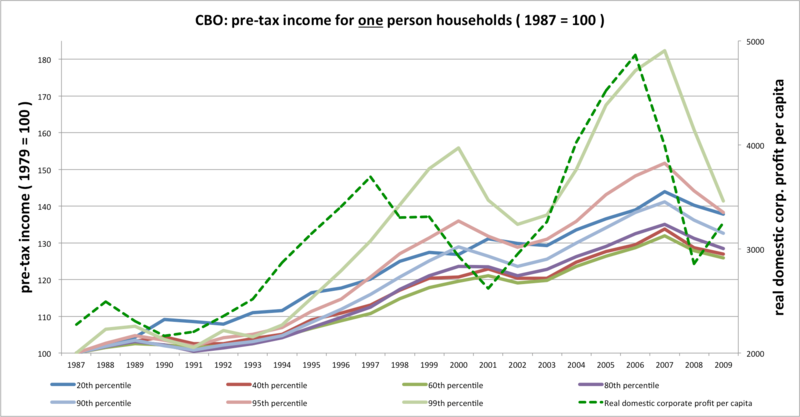 What I see is that similarly sized households in the income distribution saw similar gains. 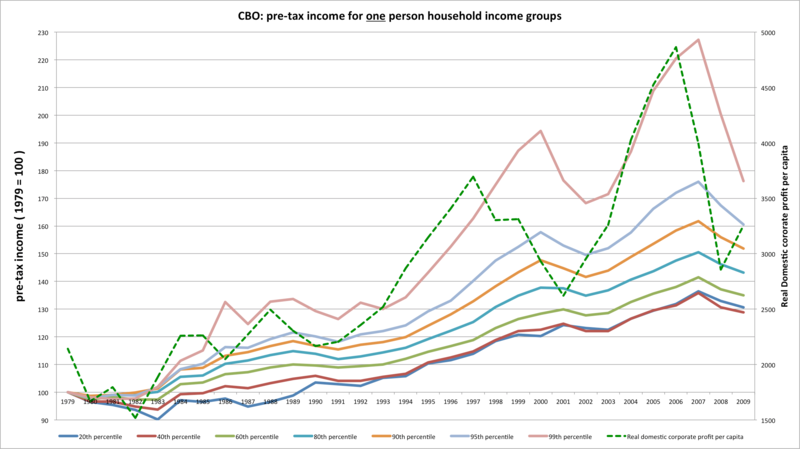 Everyone gained appreciably, but higher income groups at all levels saw their income rise and fall more with the business cycle. 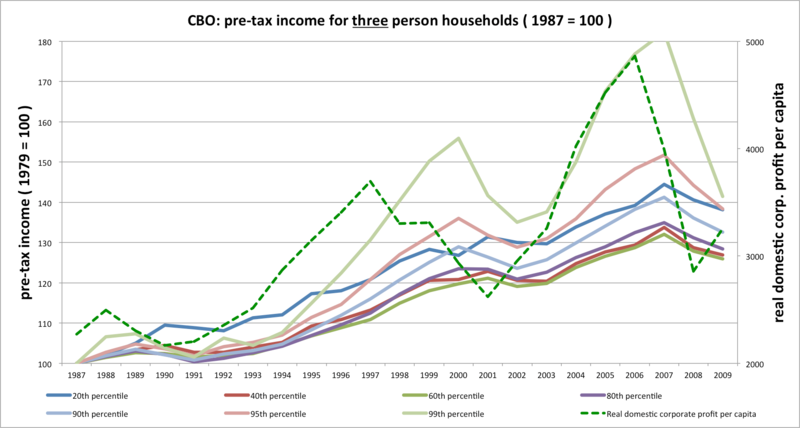 I included domestic corporate profit, the dotted green line on the right axis to make this relationship more apparent. This domestic corporate profit measure is direct from the BEA and includes all private C-corporations as well as S corporations. 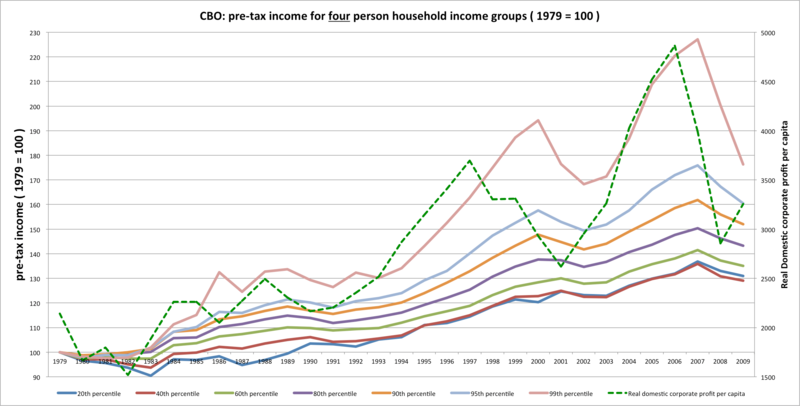 This, I believe, is important since higher income fates are tied to this profit measure in several respects: market returns, senior management pay, and (crucially) it includes most of the gross income of pass-through entities that’s not normally reported elsewhere [the CBO also imputes corporate taxes to pre-tax income]. I also ran separate charts for 1979 and 1987 since the trend is much different, post 1987, and because I suspect (but cannot yet prove) that part of the trend may have been be linked how AGIs were reported pre-1986 (what or how the CBO corrected for this, I do not know). 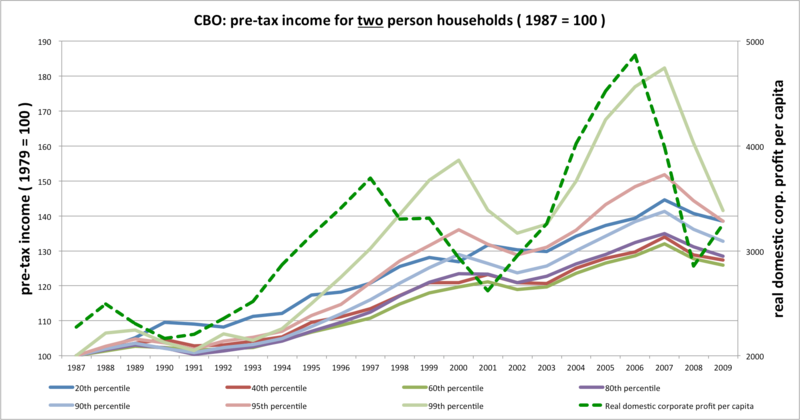 In any event, tax reform clearly plays a large role (just compare the trends from between 1979 and 86 or 90– VERY different). 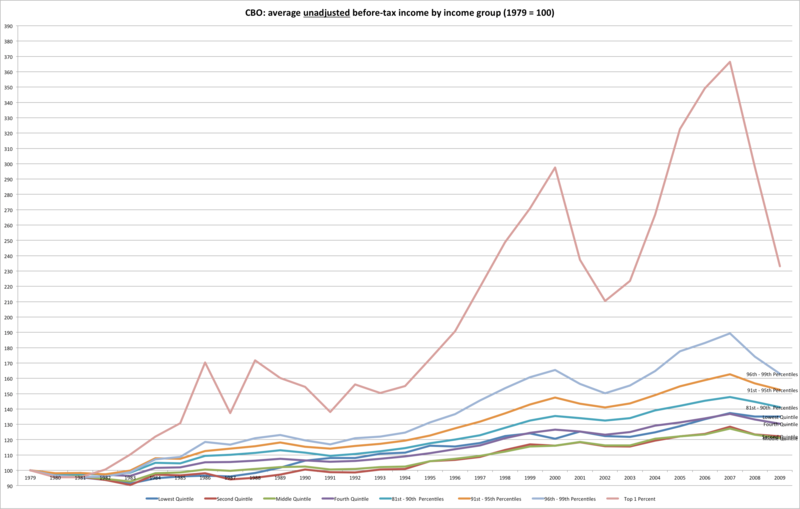 P.S., I realize that this does not account for the fat tail past the 99th percentile, but even still it seems pretty clear to me that much of the apparent inequality is a byproduct of their methodology that is highly sensitive to compositional issues.